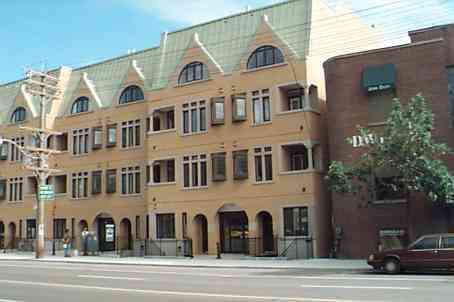 The premier location of the Davenport Townhomes makes it quite appealing among the Toronto condos. It’s very near to The Annex, Yorkville, and the downtown transit. Although the amenities are few, some suites have been upgraded with stainless appliances in gourmet kitchens, cornice moulding and baseboards, and 10′ ceilings. Sizes also vary with some suites combined into living/working spaces while others are two storeys.